For my final media project, as vaguely mentioned before, I created a self portfolio website. This website acts as my very own platform to showcase the work I have done throughout my years at University and give people a little snippet of who I am. laurenarmenta.com was made with the sole intention of online exposure and getting noticed. As a designer we are constantly fighting to capture the attentions of audiences. As mentioned in Austin Kleon’s book Show Your Work!, creatives thrive in what is referred to as a Scenius– what this means is a collective group that contributes ideas, makes connections and start conversations. Sharing ideas can lead to a snowball effect of even greater ideas. In today’d world, we join the world’s biggest scenius- the internet. This new form of media has allowed us to share ideas and contribute feedback on many people’s ideas. In a few clicks we can be anywhere in the world, creating conversation. Need an example? His name is Tony. A guy in my graphic design graduating class decided to try for a Dribbble account. This online platform is one built and made of designers, all type of designers showing their ideas, work, and answering other designer questions. Tony (residing in California) has a client in France, Paris due to their connecting on Dribbble. This new form of media allows for connections like this to thrive from all over the globe. Tony putting his work online and becoming apart of a scenius has allowed him to be discovered. So lets talk about techne. What tools we use and what tools we should use. For my final I made a website for myself showcasing my portfolio. For designers and even non designers, here are a few extra elements to add to get your site interactive and things you can do to get noticed online. If you go to my website, the first thing you see is a gif-a format for image files that supports both animated and static images. A gif can be a good way to capture the attention of your audience. On the right hand side I have a static line of social media buttons. Having social media allows you to connect on multiple platforms and join multiple sceniuses. You never know which clients have what kind of media, so if you are connected on multiple, odds are you can make more connections that way. A primary platform for professional contacts is Linkedin. More interactive elements of a site are simple but effective features such as rollovers. Rollovers, surprise and engages the user to click through or view the rollover and its contents. Navigation is also a huge factor in keeping a user focused and driving them to the content you want them to view. Static navigation is best because it allows the user to direct themselves to what they want to view and not get lost in the website and leave. Another useful tip is try to not outsource as much. the fewer clicks the better and you always want to grasp their attention to your content. It is great to hyperlink to other resourceful elements but for the most part stay focused on the important content of your site. Other popular navigation includes the hamburger navigation. Click on the hyperlink, the graphic you see in the top right corner is a great example of a hamburger nav. It allows the user to browse freely and hide or show more content. Combining navigation, rollover features with the use of color is also another engaging tactic. The use of color makes it easy to separate content, draw attention and add some personality to your website. For some helpful color psychology and design, check out this great book. There are many components to add to a website to get a viewers attention. However, the most important part is drawing them there in the first place. As discussed in previous posts, putting yourself on the online map is a great way to gain exposure. But as a designer, join a scenius. It’s good to put yourself on the grid, but sharing ideas, forming connections and starting conversation is what will really get you noticed. As many have you have been following, my new media class has allowed me to go pretty in depth within the artistic culture and more specifically street art. Today I am giving you a little snippet of my final project. This project, like I have mentioned in a previous post, will talk about not just the importance of why you should be on the internet but how to do so and maintain everything to get yourself noticed. Now you may get excited. One of the key aspects of getting noticed as a designer is having a great… you guessed it, portfolio. But look around you, look at our world today. You see everyone glued to their phone, attached to their computer or stuck to a television. We are in a new media world. And with that note, my fellow designers, artists and bloggers I am arguing why you should have an online portfolio/profile over a printed one. This is going to be nothing about dissing print but all about how helpful the new media world can be for future opportunities. Now why do this? I’ll tell you why, Because Its Not How Good You Are, It’s How Good You Want To Be. I get it I’m a college kid why listen, well because I have taken the advice of such people like Paul Arden, an advertising guru, and applied these things to my life to turn out some really great results. But Im not going to give away all the great books I’ve read just yet. For the good reads list you’ll have to read my Final project post coming soon. In light of all this research collected over the course of this class and my four years studying as a designer, most of you may already know I have created my own website. As of now it is a Desktop only functional site but I am in the middle of making it compatible for other devices such as tablets and phones. As a part of our final project we must select a topic and create a website for it. My discourse community is street art however im switching over my final project to help other artists like myself have an easier time getting noticed. With this being said, my final project website I chose to create was my own. I did this to show helpful tips with designing, making, implementing your website and all your social media. Not feeling too much like a designer? No problem, I’ll also list some great sites that do all the heavy lifting. 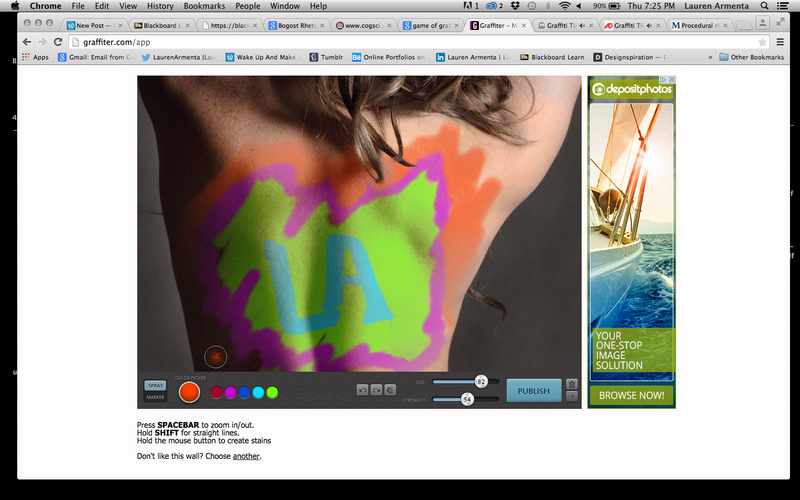 Until next time, check out some features, social media and navigation of my website laurenarmenta.com. In the past posts, I have related street art to various theories and have touched on topics such as visual communication to which you can refresh your memory on my previous posts here. Quick Refresh (for those who were too lazy to click on the link), Visual communication is expressing ideas and experiences with a combination of imagery and textual content to communicate a message to a viewer. 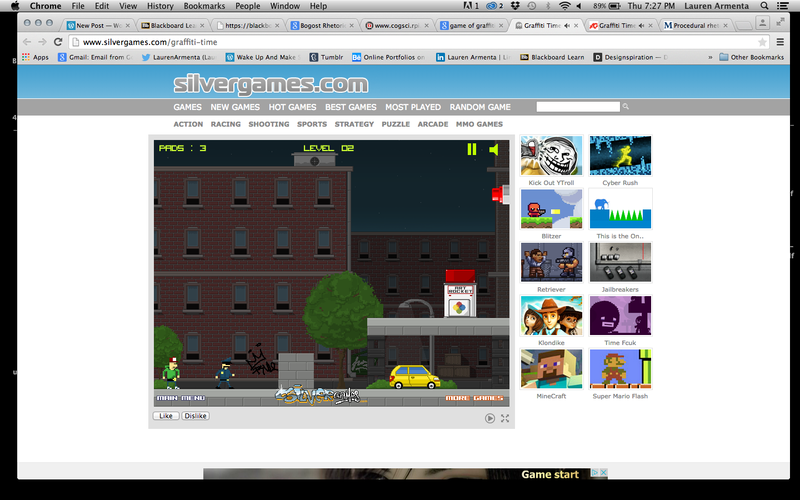 However today we are switching gears to place street art and graffiti with video gaming. We are going to go more in depth to connect street art to Bogost’s theoretical frame of procedural rhetoric within video games that are inclusive of street art. Video games are awesome, anyone can take on the persona of another and fight battles or build a farm or practically anything. Today’s games exist to which an almost alternate reality is created for us when we see real life people and places recreated for a gaming experience. Video games are a form of persuasion and expressionism, drawing in a person to interact and creates a model that represents cultural, social, and ideological realities. 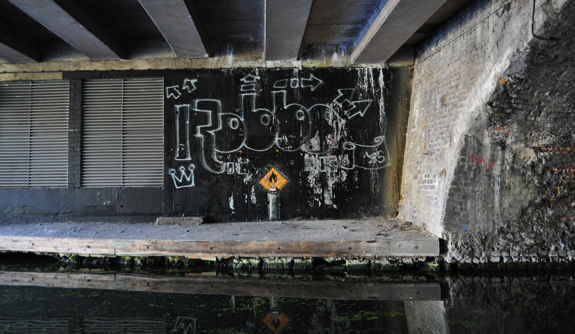 Many other graffiti or street art games incorporate tagging. For example sites where they provide a picture location of trains, walls and other places with an assortment of digital spray cans and paints to create virtual street art or tags. Street Art and public opinion has come a long way. 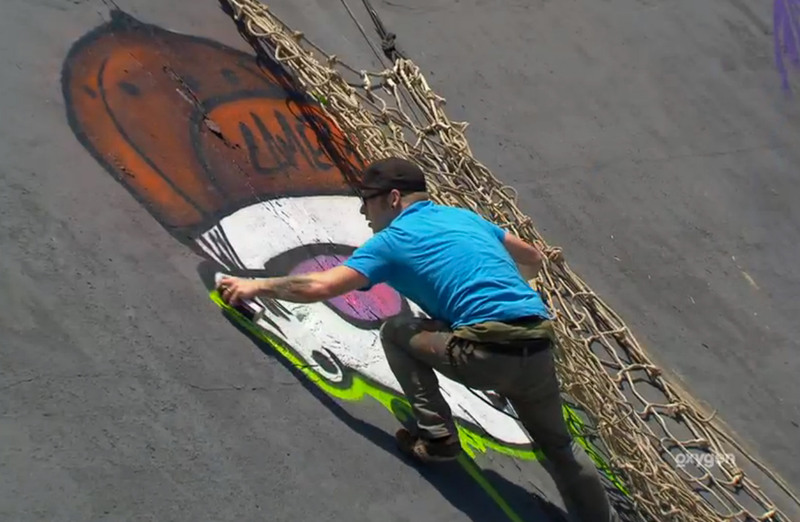 One example of real life gaming with street art is the newest Oxygen buzz of Street Art Throwdown where a group of artists are in competition for 100,000 dollars while thrown into a series of difficult obstacles that push their skills to the next level. Looking at Bogost’s framing of procedural rhetoric, we first break down the word procedure. It can be described as something following a structured behavior. Procedure often is given a less positive meaning because it is often used in negative examples. However procedure is tagged (pun intended) with official standing and bureaucracy. In contrast to that, it can also limit our way of thinking due to focus on structure that procedures provide. Now, rhetoric can be defined as effective or persuasive expression in writing and speech to communicate what the author wants while captivating an audience. So then what does this have to do with video games and street art? Bogost tied the persuasive power of video games to the ability they have to recreate and support cultural and social positions (tagging scenario, social opinion of street art = vandalism) but can disrupt that belief by letting you alter that reality. Therefore having this manipulation can lead to a social change for those positions. 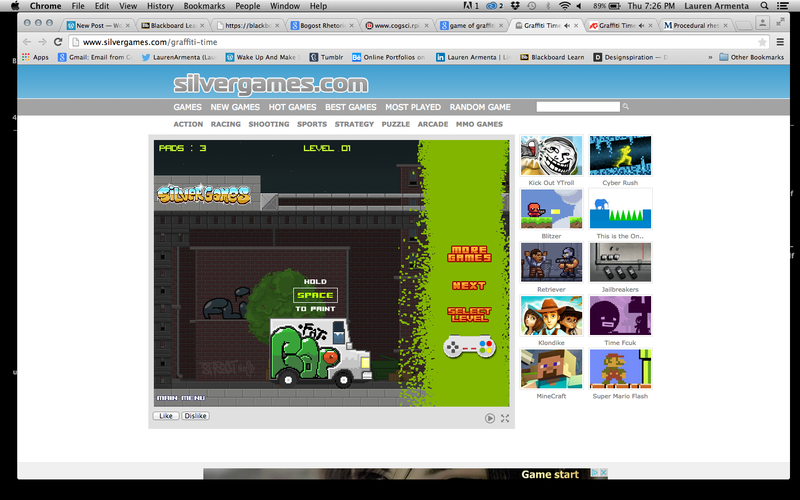 One game, Graffiti Time, is a minimal example of such. You start as a graffiti artist and your main goal is to get to the place you are tagging (avoid cops, ect), make your mark, grab the key that appears and move on to a more challenging level. This takes a socially constructed idea of art on public walls as vandalism to a challenge to continually tag surfaces to move to higher levels in a game. Or therefore finding challenging obstacles or getting through those while passionately putting up your art much like Street Art Throwdown has recreated. This is true for other things as well, where you are given a photorealist version of a wall, train, ect and can digitally create tags or works of art. Very closely related to the idea of visual communication is a more specific rhetoric Visual rhetoric in which, “visual elements are used to influence people’s attitudes, opinions, and beliefs,” (Helmers and Hill). Visual communication cannot formulate the same ways of oral and written expression, therefore street art creates a new form of rhetoric thats visually impacting. (Relating to visual rhetoric right above) Digital media as mentioned in previous posts is a good way to gain exposure. One way street art, visual rhetoric, and politics has collided was in Shepard Fairey’s Obama Hope campaign posters. Stop what you are doing. Now, look up, down, left and right, what do you see? Odds are most of you would have come across some form of visual communication. What exactly is visual communication? Visual communication is expressing ideas and experiences with a combination of imagery and textual content to communicate a message to a viewer. The image shows a pipe with the words “Ceci n’est pas une pipe,” below it. 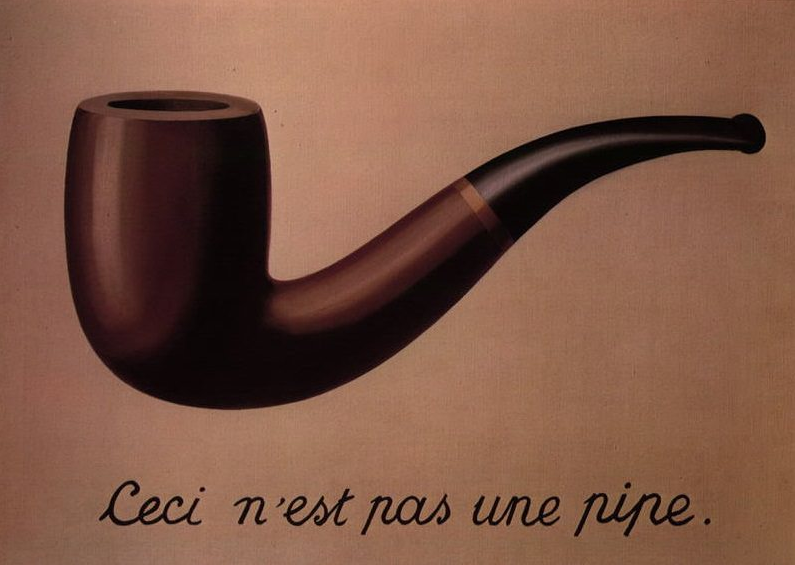 Which is French for, “This is not a pipe.” The painting is not a pipe, but an image of a pipe. This example of Surrealism suggests a paradox of that objects correspond to words and images. In other words this is a masterpiece of visual communication. It is taking imagery and words and formatting them in a way to communicate a message to a viewer. But in a fast paced, digital year of 2015 how does anyone or more specifically artists get noticed? Visual communication has made a great shift to digital works. Online presence is a growing must have for exposure. It’s hard enough gaining recognition as an artist but without an online footprint you practically don’t exist. Picture this; you are in class or work. Your phone beeps. What is it? It is a phone call or text or email. Someone is trying to communicate with you. 2015 and every quick, efficient way to get in touch with you is at the fingertips of millions of people and you have that same ability. Every day we get calendar reminders, emails, and texts. We can track what we eat and who is at our favorite places and so on. Welcome to the age of the quantified self. In today’s world, technology has made everything responsive and at a push of a button. I instantly go to the Behance app on my phone and open the message. Completely intrigued at the offer, I think to good to be true, I open the Google chrome app and search the name of the person who sent the message. Between the phone applications and easy access to information on the internet, it was easy to find multiple platforms that legitimized who he was. I sent an email back off my phone to request more information. Within the hour I was already touching base with one of the creative directors at NBC. The same day we had set up an interview time to which I would have never had the chance if it weren’t for my online media presence and techne (visited in previous posts). About 4 days later I had the interview. I didn’t walk in with a giant portfolio book but an iPad. 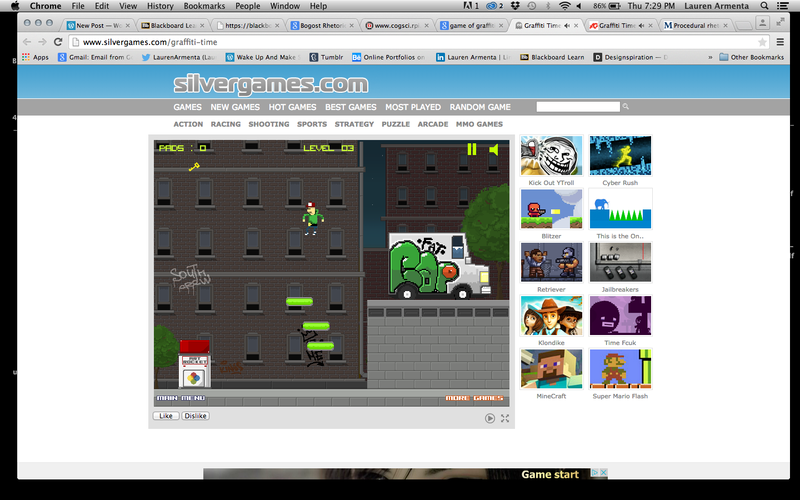 I unlocked the screen, pushed a button and there was everything he needed to see. That very same night my phone lit up again. I had been offered the job. Needless to say, digital media is incredibly important. In my line of work, if you aren’t online, you don’t exist. What is most important is digital media and how to utilize that in today’s world to capture the attention of those you need to in order to advance in this world. However, regardless of major or profession it is clear digital media is a very relevant factor. In fact, some heavily print and hand done art forms have been able to utilize online media to gain a community of followers and to get a conversation going. 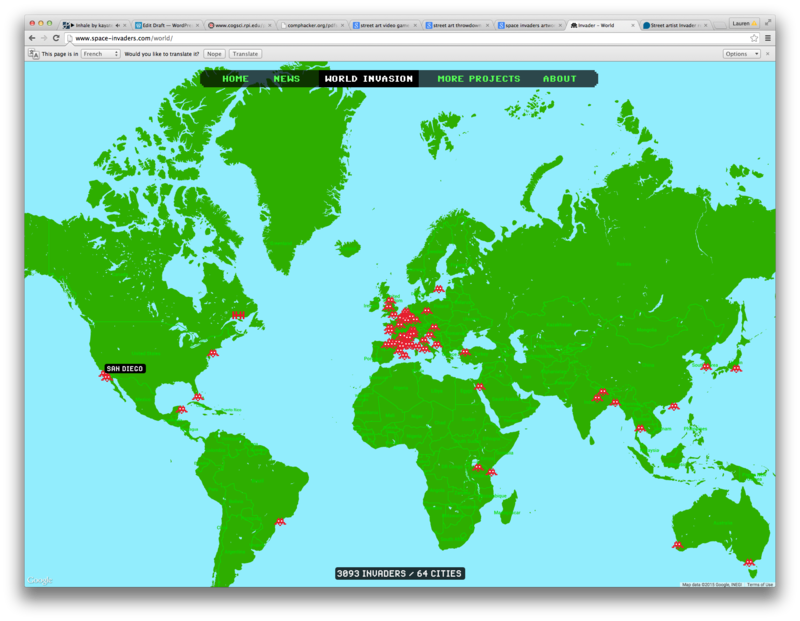 In my previous post about hyperreality I somewhat touched on Invader who uses online media to map where his art is or Banksy who actually gained most of his following from online presence. I also touched on the incorporation of media with a hand done medium to create a spectacular piece of work like BLU had. LinkedIn – If you don’t have one already, get one. LinkedIn is basically in simple terms, an online resume. But this is one platform that makes you digitally available to anyone. You can be searched and messaged for an opportunity you may not have gotten otherwise. Yes you can send in printed resumes but a lot of employers are now asking for LinkedIn profiles. This isn’t to say print media is going extinct but to say digital media is relevant and almost a must have. Behance – online creative portfolios ranging from Graphic Design, Photography, Street Art and more. 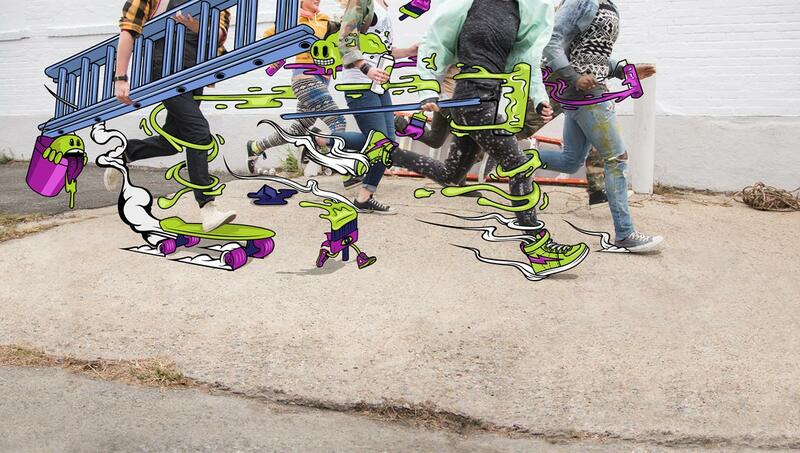 Graffiter –Fun application to paint the streets yourself. 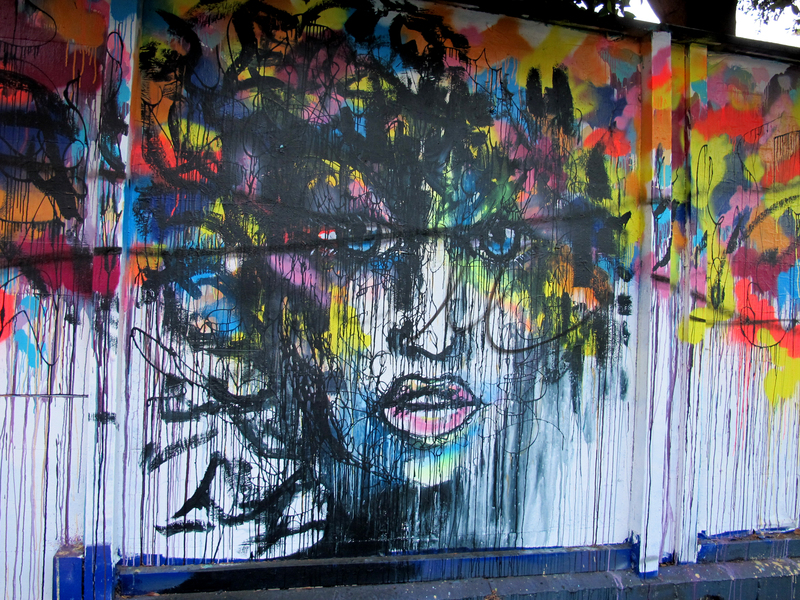 Global Street Art – follow street art around the world. Digital media has given me a variety of opportunities and expanded my network. Whether its inspirational websites or online media presence I always tell people to get connected and establish roots. You never know what sort of opportunities await unless you put yourself on the grid. Street Art, according to the Oxford dictionary, is Artwork created in a public space, typically in an illicit way. Take a walk in Los Angeles, New York, London, Spain, anywhere in the world, there are places all over covered in street art. Some street artist even track their work! Space Invader, a well know street artist, provides a map of places he has “invaded.” Other artists such as Banksy, who I have mentioned in earlier posts, place all of their work online. Yes, its true, street art which is so hands on, can still use new media. 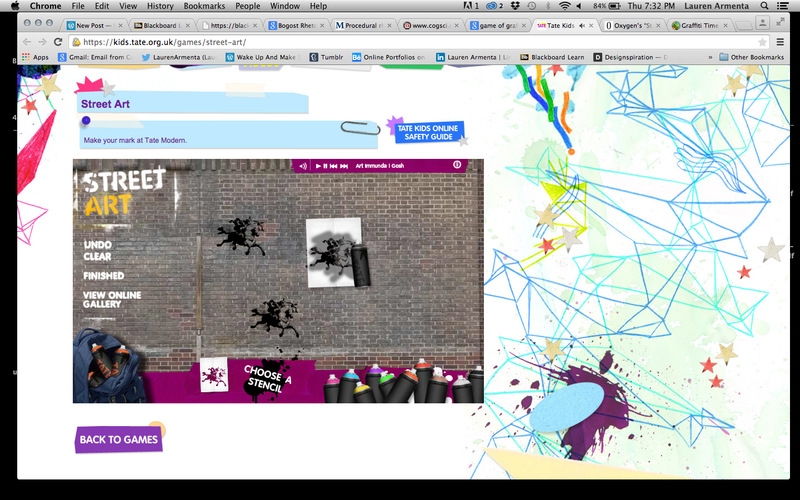 But the video below combines street art’s classic old media with the technology of new media and gives us … ? In this short film by BLU, the artist of ‘an ambiguous animation painted on public walls,’ morphs what is real and tangible to something of an alternate reality. What BLU has created for his audience is a hyperreality. What on earth is hyperreality? Great question. Video games like The Sims, are a representation of what reality actually is. Certain features such as buildings, areas and people are all created to simulate the real world. However, how we perceive these two things can sometimes get crossed. When it comes to representation versus realty, perception can often be reality. Author of “The Ecstasy of Communication,” Jean Baudrillard, defines hyperreality as representations of reality. These Simulacra- an image or representation of someone or something- are more than copies of an original but instead become a truth to us in our own way. The different pieces of painted work BLU put on the walls and other surfaces are reality. The paint on the wall is real, you can touch it and see it. However his work and applied compilation of his paintings takes the tangible art and puts it into a digital format. Doing this with the application of motion speed and sound effects turns BLU’s hand work into a moving piece. This action turns his work into a hyperreality. The work he has done is real however the movement of it on the wall is not. Morphing these two things creates a hyperreality that we are engaged in and process as reality. Perception is for the most part reality. It is how we perceive things that make it real to ourselves. This sort of street art has been given a life. Spray paint is often a tool that is associated with negative visions such as vandalism, illegal activity, destruction, profanity, gang affiliation and much more. However what we will be focusing on is much more positive. This will not only talk about Jessica Sabogal’s work in the video above but will be applying James E. Porter’s theory from, “Recovering Delivery for Digital Rhetoric.” Porter, in his writing, strives to address one of the five rhetorical canons, this one being, delivery. Delivery, as it has been for most of history, is oral and bodily aspects when giving a speech or performance. In other words, how someone acts toward an audience via gesture, tone, voice, rhythm and so on. With technology changing and how we act and respond to the environment around us today, we are revisiting the topic and alternating it to suit the present. One of the most important aspects to framing delivery is techne, or art. In this case the techne would be spray paint and even more so the use of the GoPro’s technology to give the viewer a more in depth experience, whether it be to move with the strokes of the paint or take in the whole scenery. 1. Body/Identity–which is concerned with online representation of the body, gestures, voice, dress and image along with online representation of race, class, gender, sexual orientation and ethnicity. – In regards to online body/Identity, this video mentions how graffiti is a predominately male dominated field. Jessica mentions quite a few times on how she believes it’s important for female artist to be apart of it; “I want to be seen using spray paint so that other girls can go pick up a can and not think its this crazy thing of the streets but as a valid way to express themselves artistically, anywhere.” The way she speaks and gathers a group of women to pursue one art piece and defy all gender representation is truly revolutionary in the graffiti culture. -Not only does this break gender roles within the graffiti and street art culture but presents a more positive and empowering outlook. 2. Distribution/Circulation- methods of circulating digital information using technological publishing options. -The biggest aspect of this would be the techne we had talked about before. I think the GoPro, not only with its widespread popularity, but also with the technology itself allows for wide distribution option including but not limited to GoPro, Youtube, basically any video site as well as sharing with friends via social media. 3.Access/Accessibility- Audiences connectivity to Internet based information. -This crossovers with point number 2, but I think that for awhile street art is something you just stumbled upon whereas now, because of the distribution/circulation methods, its become more of a culture connecting to other cultures, experiencing and sharing art, videos, ect through these media outputs such as Youtube, Twitter, and so on. -Not only connectivity over art but just in general, Jessica mentioned she needed help and she put out a volunteer call via connectivity to the internet and this type of audience having that access was what helped her form this group of women to complete this giant beautiful work of art. 4.Interaction- Types of engagement allowed by digital designs. -There is nothing quite like raw tangible, large scale, paint a wall kind of art. However the power that comes with Internet interaction is what is shaping conversation around these communities, cultures, works of art. Digital design is allowing for mass production, connectivity to anywhere in the world, and a variety of different perspectives on just even one piece of art. 5.Economics- Concerning copyright, ownership and control of information, fair use and the politics of information policy. –Graffiti/street art is raw creativity. You can replicate or emulate something the best you can but the surface and material changes the piece you would want to replicate into something completely different. There is also no going back you can only improve and build upon the so called “mistake” that you make. We Are the Ones- that will break the spray paint stereotype. Technology is advancing quickly and we are in the middle of it. In keeping up with new media but still appreciating the old, I will be using this blog to talk about Street Art but through this online platform. Street art is authentic, hand done and not everlasting the exact opposite of new media which online lives forever. The idea behind this is simple, sharing the experience of raw art, through the very click of a mouse. Banksy– well-known for his cunning street art work, especially by loyal street art fans or really just from the culture itself, but famous for being widely spread via online source. Most people have heard of Banksy not because they are connected to the street art culture but because its been on the news or online and other social media sites. Banksy was really the starting point of connecting street art community to the new media world. Tag. You’re It. – A brand that believes in the social responsibility of spreading inspiration to all. Whether it be a sticker slapped sign, a painted wall, or a drawn on scrap piece of paper, we are all about bringing the lost art back into the world. We each have our own tag, it’s what you do with it and how you tag others that matters. Tag is about using what you have in a way that inspires those around you. The story: As a junior in high school I had my art teacher walk up to me in class, look me straight in the eye and say, “what are you going to do with your life?” Well anyone could be asked that question at any given time and feel the way I did when I heard that … scared. I sat there puzzled for a second as she walked away, grabbed something from her desk and was heading back to me. In front of me, she placed a pencil and said, “This is the only thing you’ll ever need in life.” And as confused as I was in that moment, she was right. From there we enrolled me in summer classes which I fell in love with and when I came back for my senior year, she walked up to me again and said, “Are you ready to build a portfolio?” My teacher had inspired me to not only pursue a creative life, but inspired me to find a way to inspire people into the creative world. I am now in my last year at Chapman University as a Graphic Designer, working at NBC Universal. What happens next: You revisit my blog for anything art related and revisit this tab for some really good content and get the conversation going. I challenge you, Tag. You’re It. 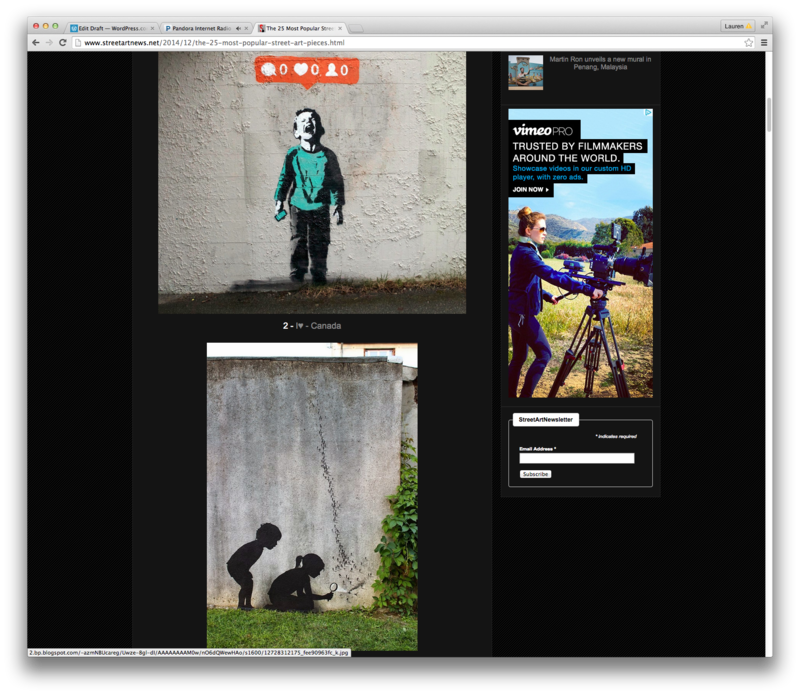 As a part of my Eng-375 class, Composing New Media, I am creating a page on my blog that will intersect Street Art culture, Graphic Arts, Media and Art culture in direct relation to the themes studied in class. As the class progresses so will the topics and entries made. Click on the “Composing New Media” tab on the left hand navigation to view all post related to my course subject matter. A “comment” option will added to the bottom of posts as well as social media buttons so we can get conversations started! Enjoy.